GUSH ETZION, West Bank (Reuters) – A Palestinian fatally stabbed an Israeli at a shopping mall in the occupied West Bank on Sunday before an armed civilian shot and wounded the assailant, Israeli police and medical officials said. 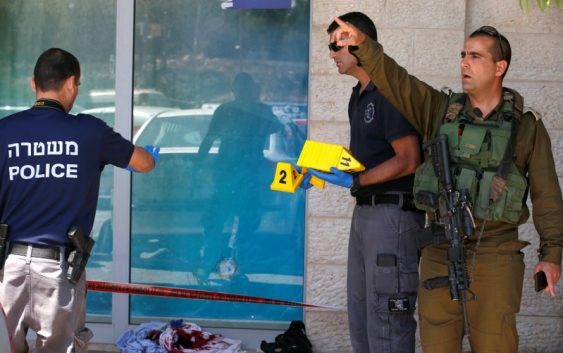 Security camera footage circulated on social media appeared to show the attacker stabbing a man in the back outside the mall in the Jewish settlement bloc of Gush Etzion. After a brief struggle, the assailant flees, pursued by several pistol-wielding men, and collapses to the pavement. The Jerusalem hospital that received the 45-year-old Israeli casualty said he was dead on arrival. The Palestinian was shot by a civilian at the scene and was in Israeli custody, a police spokesman said. Palestinian street attacks against Israelis have been sporadic since 2015, a year after peace talks collapsed.